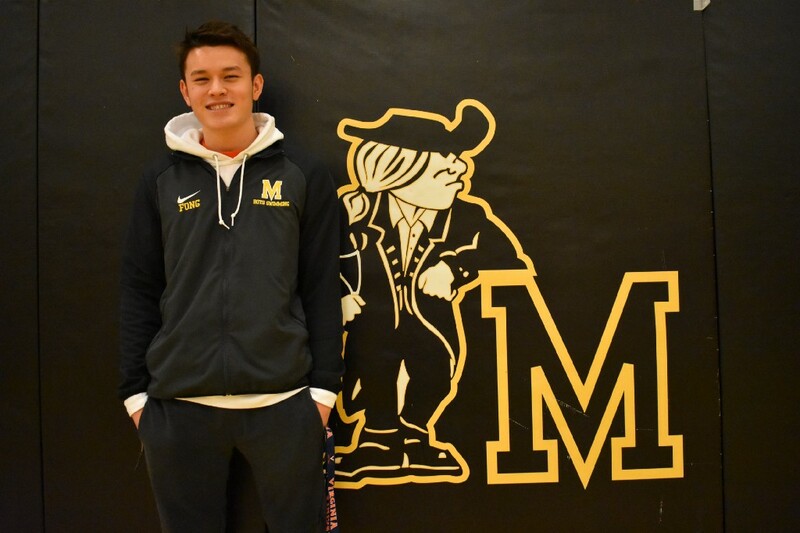 The 2019 state champion in the boys 100-yard butterfly, Fong’s versatility and leadership were assets to Moorestown throughout the season. Moorestown High School senior swimmer Josh Fong is used to seeing himself compared to his older brother, Zach Fong. A 2015 Moorestown graduate, Zach was a 2014 state champion in the 100-yard butterfly and 500-yard freestyle and is wrapping up an All-American college swimming career with the University of Virginia, where he will graduate from this spring. In his final high school meet, Josh followed Zach in another way. On March 3 at the 2019 NJSIAA Meet of Champions, five years after Zach took the state title in the 100-yard butterfly, Josh did the same, winning the butterfly for his first individual state title. Fong was the only male South Jersey state champion from outside of Atlantic County and is The Sun Newspapers 2019 Boys Swimmer of the Year. Fong had been pushing to win the butterfly state title since he was a sophomore. In both 2017 and 2018, Fong made the finals of the 100-yard butterfly at MOC, but came up just short of victory with third-place finishes both times. This year, after putting up what he felt was a slow time of 49.92 seconds in the preliminaries, Fong decided he was going to do everything he could to win the butterfly. He set his sights on the meet record of 48.68 seconds and nearly reached it. Fong’s winning time of 49.08 allowed him to win the race by nearly eight-tenths of a second over Bridgewater-Raritan High School sophomore Trent Russano. Not only did Fong put up a winning time in the butterfly, he also had to swim in two events earlier in the meet. Fong also competed in the 200-yard individual medley, where he finished fourth, and was a part of Moorestown’s 200-yard medley relay team. Fong’s stamina and versatility were assets for Moorestown all season. DeNick didn’t use Fong in the butterfly much during the regular season due to team needs, instead moving him to other events such as freestyle or breaststroke. “The quality of the different events he can swim was an asset for our team and was huge for us this year,” DeNick said. Not only is Fong a state champion, but he’s busy out of the pool as well. Fong is taking five Advanced Placement classes this year as well as multi-variable calculus, a class Fong describes as “beyond AP.” Fong keeps up of his schoolwork while also practicing 20-plus hours a week with his club team, Jersey Wahoos. Even with his busy schedule, Fong still took on the role as one of Moorestown’s team captains this year. Fong said all of his experiences have him prepared for college. “It’s been a lot of academics in addition to the athletic workload,” he said. In the pool, Fong said competing for Moorestown taught him the importance of teamwork in swimming. He felt the team’s unity was strongest during the last meet of the playoffs, a tough 98–72 loss against the eventual Group B state champions, Mainland Regional High School. DeNick saw how the program shaped Fong during his time at Moorestown and believes he, as well as his brother, will serve as an inspiration for the future Quaker swimmers.